Back in November of last year I wrote about the travesty that was the UK government’s white paper ‘Natural Choice’ that completely omitted geology from the natural world. Whilst lapses regarding the abiotic component of nature are unfortunately far from uncommon, removing (and it was in an earlier draft) geology, geodiversity and geoconservation from the document was an act of stunning ignorance by the mandarins in Whitehall. Anyway, perhaps it is darkest before the dawn. Perhaps even, some of the shouting that the geoconservation community engaged in was to of good effect. 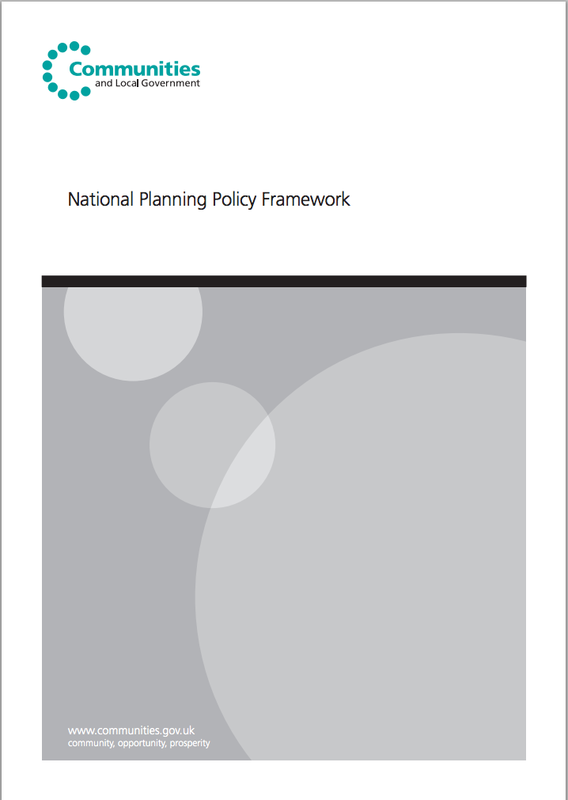 The government has now published its long awaited revision of planning guidelines – National Planning Policy Framework (for England). 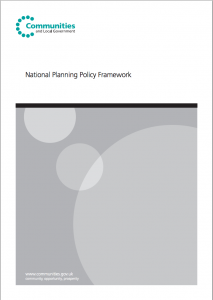 The was a lot of concern about this document as the government had pre-announced that it wanted to rationalise the existing thousand pages of planning regulations to around fifty (actually it is 47 plus appendices). There was a worry that it would be heavily revised in favour of developers and to the detriment of the environment. In the end, after some useful revision of the draft, it is much better for geoconservation than has expected. Although the original planning document relevant to geoconservation “PPS 9: Biodiversity and Geological Conservation” is superseded by the new Framework, the guidance is retained, as is the 2006 “Local Sites – Guidance on their Identification and Management”. This is extremely encouraging and goes a long way to addressing the omission of geoconservation from “Natural Choice” as it restates the importance of Local Geological / Geomorphological Sites (LoGS) in the planning process. All of which is quite encouraging. These are some troubling times in British Geoconservation with several geoconservation sites around the country coming under attack from various sources. First, let’s start close to home at Park Hall, Staffordshire. 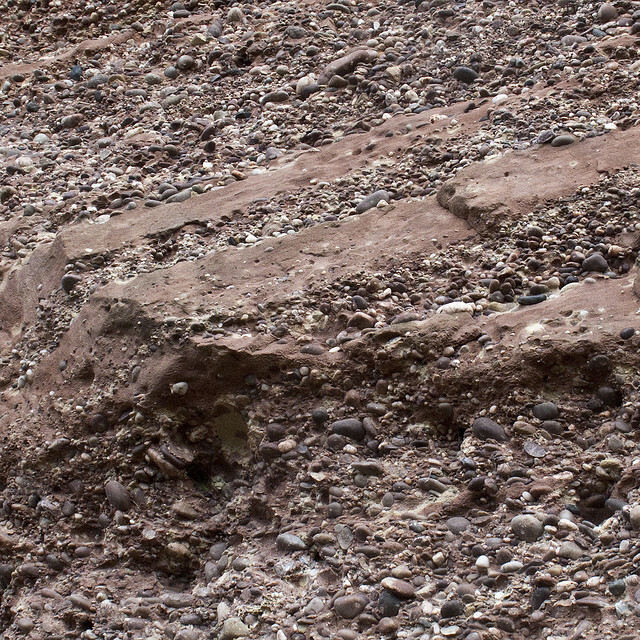 Park Hall is a SSSI (Site of Special Scientific Interest) and National Nature Reserve (NNR) for its geology (Lower Triassic Kidderminster Formation [formerly known as the Bunter Pebble Beds]) exposed in former aggregate quarries. Situated on the edge of Stoke-on-Trent its Visitor Centre hosted visits from school children to study the local geology and biology. 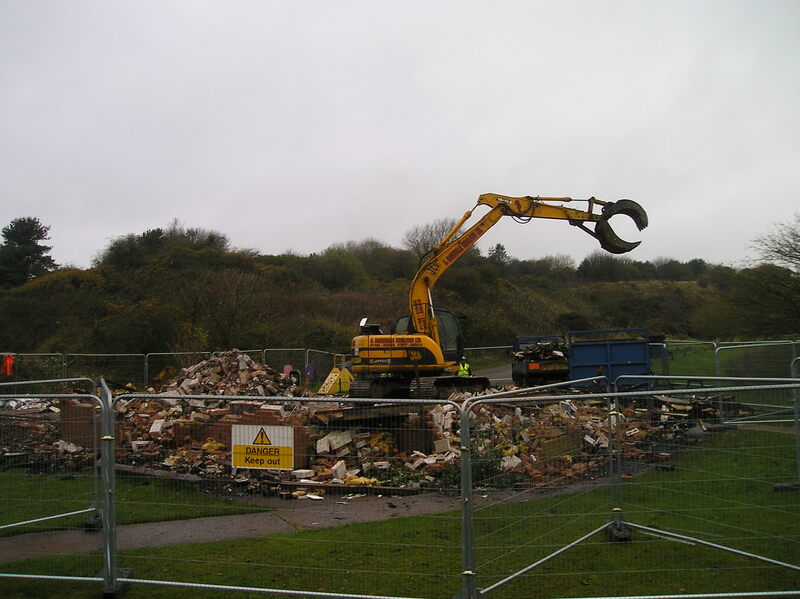 The GeoconservationUK Education Project [Earth Science On-Site] uses former aggregates sites like Park Hall to develop examples of high quality Earth Science field teaching activities for schools. Education for primary school students in Stoke-on-Trent is some of the worst in the country. It is hard to get schools to get the children outdoors and studying their natural environment but Park Hall Visitor Centre was a success. Instead of the centre having to chase the schools, the schools contacted the centre. Many had repeat visits booked annually in their diaries. Then on the night of November 6 thoughtless vandals broke into the centre, set a fire and razed it to the ground. The conflagration took with it tens of thousands of pounds worth of education materials for the school children of Stoke-on-Trent and the wider area. Other display material was lost including examples of local Carboniferous Coal Measure plant fossils had been lost in the blaze. It is the shear mindless thuggery of it all that saddens me. They also targeted a saddlery and several horses could easily have died. Attempts are now under way to try to persuade Stoke-on-Trent City Council to rebuild the centre and have geology teaching as a showcase part of the new centre. However, in these straitened times it is always possible that this will prove impossible. Another Earth Science On-Site location on the Kidderminster Formation has also been targeted by vandals. 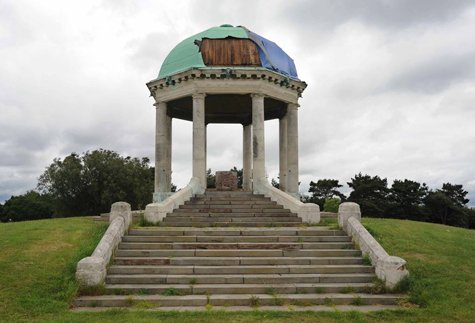 Barr Beacon, Walsall has had its war memorial roof stripped of copper by metal thieves. Whilst not affecting the geology of the site, including the Staffordshire Tixall Stone used for the memorial steps, this is still sickening. From England to Scotland where they have been having their own problems. 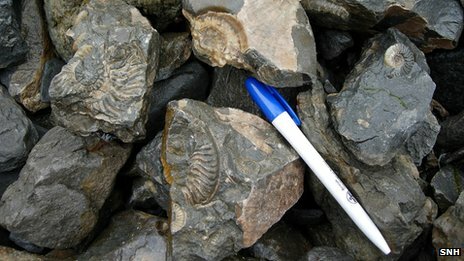 On the beautiful Isle of Skye, perhaps more famous for its igneous rocks than its sedimentary ones, there are exposures of fossiliferous Jurassic rocks that have yielded the only Scottish dinosaur remains. Bearreraig Bay, north of Portree, is another SSSI, where any collecting is limited to that for scientific use, and that by permission only. Those convicted for either damaging a SSSI or collecting without permission can be subject to an unlimited fine. The section appears to have been attacked with a crowbar with several tonnes of rock moved in an attempt to extract fossils and dinosaur footprints may also have been removed from Valtos. It would appear that the recession is driving a minority to increasing levels of theft, be it metals or fossil material. Another sign of the recession is the loss of UNESCO Geopark status by the Lochaber Geopark. UNESCO require that a permanent project officer be employed. 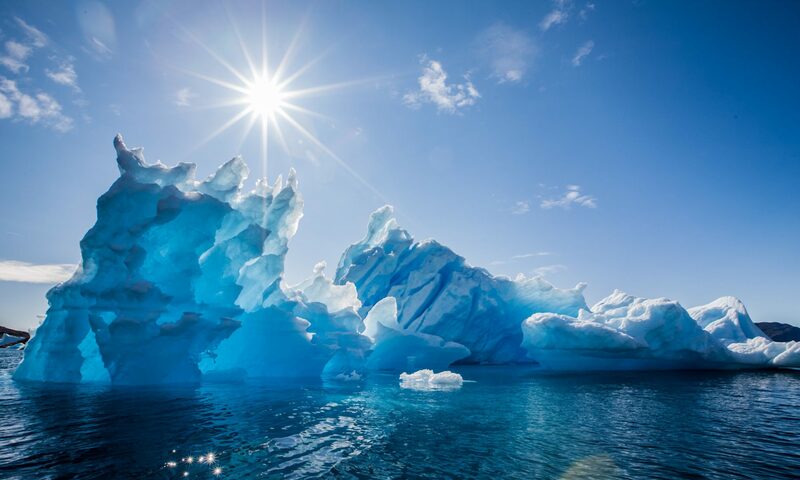 It has been increasingly difficult to obtain funds for geoconservation funding. Where I am in Staffordshire all regular sources of funding have dried up (or appropriated by the national government), so it is little surprise that the volunteers in Scotland have struggled to raise the money for a salaried member of staff. This is the real Big Society, volunteers working for the good of the community and it is failing through lack of proper funding and support. The Lochaber Geopark includes Glen Roy with its famous “parallel roads”, the shorelines of glacially dammed lakes. Charles Darwin visited Glen Roy in 1838 and described it as “far the most remarkable area I ever examined.” Darwin, however, was a much better geologist than a glaciologist, and ascribed the roads to marine effects. “The natural environment encompasses all living and non-living things”. The lack of mention of geodiversity means that councils are already cutting back on their geoconservation work as they say that it isn’t now covered by government thinking. At the moment those of us who work in geoconservation are feeling unloved, underfunded and under attack. Dark days indeed. 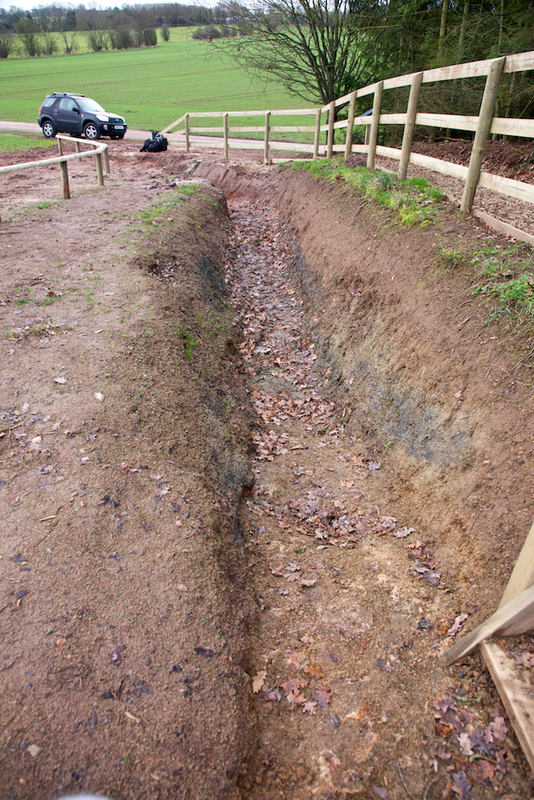 This weekend I’ve been involved in a bit of geoconservation work a.k.a. extreme gardening. Working with the Staffordshire RIGS group, we were cleaning up a couple of outcrops along the Hamps and Manifold Geotrail at a site called Ladyside Wood (Location 19 on the map below). The parent body of Staffordshire RIGS, UKRIGS (UK Regionally Important Geological / Geomorphological Sites) has just changed its name to GeoconservationUK. Personally I think that this is a poor choice as the RIGS groups do so much more than geoconservation. I would have preferred GeodiversityUK which would have given a feel for the range of things that we do. 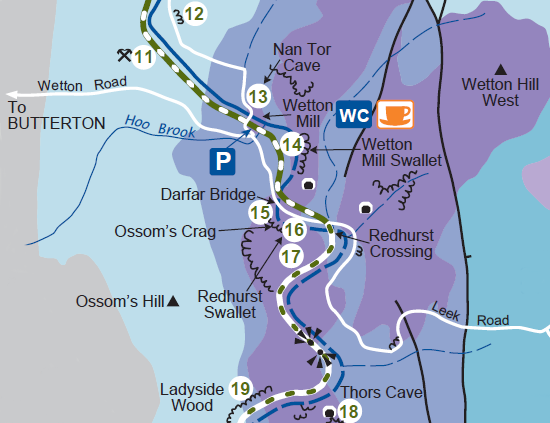 The map shows that the Ladyside Wood locality should display the transition from the reef knoll facies of the Milldale Limestone (purple), through the bedded facies of the Milldale (dark blue) to the overlying bedded Ecton Limestones (pale blue). Unfortunately the sections have become somewhat overgrown. Often in geoconservation we find that there is a certain tension between the geoconservationists who want to expose the outcrops and the bioconservationists who want to preserve certain plants. 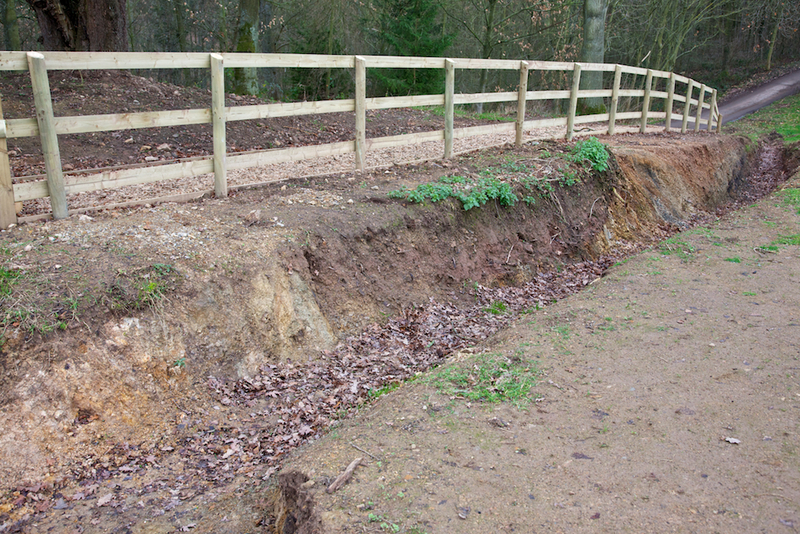 Before starting clearance on this section we consulted with the National Trust who own the land. Can you spot what was the only plant they asked us to leave? OK, I admit it is difficult from the photos but the answer is the yellowish shrub on the right of the lower image. The bizarre thing is that is a flowering red currant – a garden shrub and not even native to Britain. Apparently it looks pretty when it flowers! Anyway, after five hours of pruning, scraping, sawing and scrubbing, we managed to get the outcrops returned to some of their former glory. This is the first of what I hope to be many geoconservation sessions to be run by Staffordshire RIGS. I’ve just finished preparing a presentation I’m giving at the 15th European Meeting of Environmental and Engineering Geophysics of the Near Surface Geoscience Division of EAGE (or Near Surface 2009). I’m so used to talking for a micro-century (~50 minutes) in lectures, it is hard to discipline one’s self to a 15 minute slot. But, before I head of to Dublin, there is just time for the latest instalment of “Wrong Rock“. Last Time I discussed a church that had a new extension being built in a rock type that didn’t match the original. I also noted that the disused quarry that had supplied the original building was less that a kilometre away and it would have been much better from both an aesthetic and ‘stone miles’ point of view if a way could have been found to re-open that quarry to supply the stone for the church. This week I have uncovered what I consider to be an even bigger crime against stone. Like most old churches it was originally built from the local rock, in this case the Lower Triassic Kidderminster Formation (in old nomenclature Bunter Pebble Beds) which as the old name suggests is a coarse, pebbly sandstone. Again, the original quarry is close by, less than 500 metres from the church. This time it isn’t the modern extension (which is round the back) that I’m railing against, but the repair work on the original. These repairs have been done with Triassic Hollington Stone (formerly Lower Keuper Sandstone) which I’ve discussed before. It might not look too bad from a distance, but close up it really clashes. What is worse, is the nature of the repair. Rather than being flush with the existing stones, the steps on the top of the replaced blocks will collect water and cause the old stone block above it to weather even faster. And this is on a Grade One Listed Building, “a building of outstanding architectural or historic interest”. Special permission is required for repairs and particular materials are usually specified (although churches with current worship do have some exemptions). How much better the repairs would have been if the local stone had been specified and the replacement stone fitted flush with the original.